A. Please check whether the infrared lights of the camera were lit? power supply and 1 to 4 power splitter cable to test. video cable and DVR's video input port to test. happy to repair or exchange the product for you. us, so that we can confirm whether our camera is compatible with your DVR. 3. If you connected the Zosi cameras to Zosi DVR, but got "Video Loss" on all channels. A. 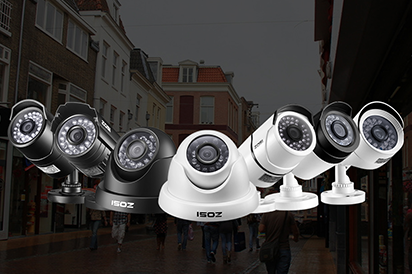 Please check whether the cameras are compatible with the DVR? B. Please check whether the cameras' power supply and 1 to 4 power splitter cable can work well? C. Please check whether the video cables and DVR's video input ports can work normally?